Do You Want To Scale Your Business To The Next Level? Well of course the aim is to be profitable, but in those early days, funds are required to get going before any revenue, let alone profit, is achieved. Even if you are a very small micro business or solopreneur, you will have costs such as internet charges, domain registrations, perhaps some cloud based software applications and of course you have to eat! OK, you may still be living at home with your parents, but at some stage you will need funding! That is why it is important to understand what sorts of funding you can potentially access at each stage of your business journey. However, a challenge that most aspiring business owners have though, is that there is not too much to demonstrate on the viability of their specific business idea, that is, no track record and whether, they will be successful or not. This holds true regardless of them being an inexperienced business person but investing into say a proven business model like a franchise, or an experienced business person, about to start a new venture that is completely unknown. That the red flags come up when they are an “inexperienced business person” about to launch into an “unproven business concept” – may be a tech startup of some sort, is of course obvious! Now years ago, there were very few options when it came to seeking funding for starting a business. However today, we are in many ways, living in a golden age for entrepreneurs. So do not be dis-heartened if at this stage you are not sure which way to go about it! Because every day, businesses are being started and their risks are being mitigated. It’s often the case of you don’t know what you don’t know! Bootstrapping is where you are putting your hand into your own pocket. This is where you may be working for somebody else, perhaps even still full time but your thoughts are 24×7 on your business dream. This is the hustle where you hone your skills in getting the best deals and is also your ticket out of working from your bedroom at your parent’s house! Family & Friends is exactly that, so as you move out of your bedroom, think about sitting down with mum and dad, or uncle Ross for that matter! Give them a pitch, as they could be your best source of funds to start with – but make sure everyone is fully informed because no one likes buying into a pyramid scheme that is about to collapse, plus it can be awkward on those special family gatherings from time to time as well. Banks don’t you love them? Well you should. Traditional finance from banks is of course entirely feasible. While they will look for a record of accomplishment, which will be different than what your parent’s may look for, it’s a good place to start because you can establish a relationship with them and also leverage a lot of resources and advice from them as well. Non-Banks or non-traditional banking opportunities are increasing. The FinTech sector is being shaken up and with that, are online lenders, or expanded capabilities from companies like PayPal, which can complement existing arrangements you may have – particular when you might see the expansion in your business on the sorts of services these non-banks are really good at providing. Grants from government and semi government agencies are available for all sorts of purposes and may include subsidised loans, tax breaks or even free money! Research & development, export development, marketing, skills training, employing other people are just some of the areas. Also, typically you will not find the grants being provided from just one source – you need to check across all levels of government and associated agencies – local, state, federal etc. Incubators are where we start entering the grownups club! These are either set up for profit or non-profit, government or industry. They often include co-working spaces where to start with, you get a desk, but importantly the collaborative environment where you can also network. Some run “pitch” competitions in which the winner could access funding – so seriously check these out as options as well (also they are often connected to annual events and conferences which could be useful for your business promotion at some stage). Crowd Funding is one of the areas I am really excited about and you should consider this – particularly if you have a social cause. Now depending upon the source, it is suggested that crow funding got started in 1997 when a British rock band funded their tour through online donations (fundable.com). Today there are so many great stories, with one of my favourites being the Australian startup “Flow Hive” (read their story here: https://www.honeyflow.com/about/about-flow/flow-story/p/122). Venture Capitalists & Investment Bankers are a long way down the path for most startups, but they are there to help you potentially raise millions of dollars and even eventually become a public company. Remember Facebook started from a university campus back in 2004! Pitch is what you must do constantly throughout your business journey. For your parents, they just want to see the sparkle in your eye knowing that you are about to embark on a worthy cause, your Angel Investor may want a spreadsheet, while Richard Branson is happy for you to do all this on a beer coaster! The common thread is a story which has been researched and told with conviction! Recently I have had the opportunity to participate as a mentor and judge in several startup pitch events, and each time I have come home inspired. 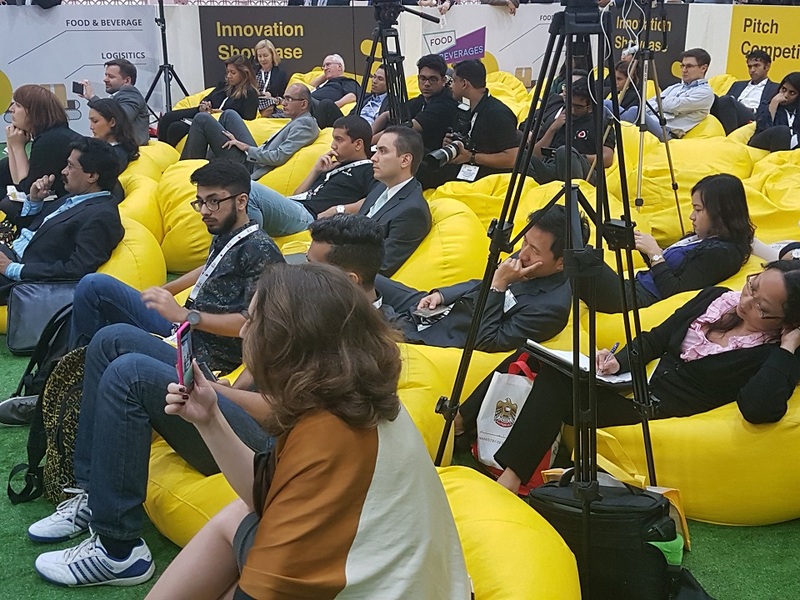 Like early this year in Dubai at the AIM Startup Innovation Showcase and Pitch Competition, where over 15,000 delegates from around the world where able to meet aspiring company founders as they pitched their business stories. Of course, not every one of these startups made it to the short list, but they were all there giving it their best shot to make their dreams a reality! Now, consider this, if you are struggling to fund your business right now, do you think you have exhausted all the possibilities? If you have received knock backs, does that mean you give up? These ten strategies to funding your startup business are no way a complete list, however they should serve as a starting point for you to assess your needs today and what you may need to consider in the future.